For brick and mortar businesses, the adage goes Location, Location, Location. For SEO, the crux of success is found in Content, Content, Content. Create new content often, as often as you can. Google likes new content. They like to see new pages, articles, blog posts, updated pages, etc. Feed them, its worth it. Adding content to your website is great for getting additional pages indexed on your website. It helps you to rank for additional keywords, including longtail keywords you probably didn’t think of. Write great content and other people or other websites will be sure to link back to your website. 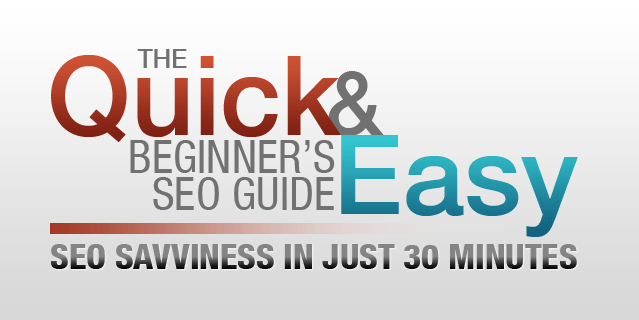 Those links carry “link-juice” which will help you advance in the rankings. More on links later. There are many ways you can develop new content, the easiest being to 1) write articles or blog posts and 2) create videos for your website. Most people freeze when they think of the challenges of writing content or trying to create an elaborate video. As a small business owner, I recommend starting with something (read anything) and improving on it as you start seeing the results. Words on a webpage can always change. Even as I write this guide I fully anticipate changing it often to keep it current and relevant. Many business owners find it difficult to find the time to write new content for their website, I admit the same is true for me. I assure you, there are many things that you know and there are processes available online that will help you think of new ideas. Write about new products, discounted products, local events, how-tos, what to do when, etc. You are an expert in your field—remember that just because something seems obvious to you, doesn’t mean it will be obvious to your potential clients. Are you an auto mechanic, why should I change my oil every 3000 to 5000 miles? What happens if I don’t? What’s the cost to benefit? Your articles don’t need to be too long, just 300-350 words will be sufficient. Most importantly, make your content honest, make it relevant, and make it helpful. If you are painter, be truthful about the painting process, informing customers about industry specifics that may be relevant before they buy, such as choosing the right paint, or anticipate paint life expectancy. 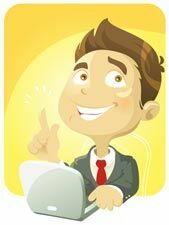 If you are still convinced that you can’t/won’t write, then keep in mind, there are thousands of writers anxiously waiting for you to hire them to write content. This is an excellent option if you can fit their fees into your budget. Having well written, well thought-out content, that is grammar free, will become a valuable, long-term asset. Who is your audience? Who is the intended reader of your content? What will these visitors do with this information? 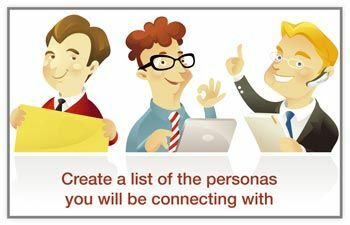 Develop a list of personas, types of visitors you are looking to attract and engage in, and be as specific as possible. Are they sports fans, business owners, corporate managers, single moms, authors, church goers… the potential list gets very long. Try to narrow your list to 3-5 main personas, and think of these personas as you develop and write your content. Think about their needs, wants, desires, frustrations, difficulties, challenges, short comings and incorporate solutions and answers into your writing. If you are a plumber, you are familiar with the frustration people have with plumbing issues in their home. Keep a soft, comforting tone in your writing. Offer helpful advice. If the best solution is to call you, make it easy to get a hold of you and let them know what to expect when they reach you. Make a goal to deliver content that will engage at all of your readers each month. If you have 4 personas, then you’ll want to write at least 4 articles a month. Four articles a week would be much better! Also keep in mind, that your content may impact multiple personas at once. Next, consider what actions do YOU want them to take when they arrive at your website? In other words, assume the content will get them there (through search or direct links), but have a plan in mind that you want them to take. Do you want them to read the content then leave, or do you want them to engage (leave comments), contact you (call you or complete a form), view another page? Content is King – or Context is King? The rough-mouth New Jerseyan Gary V (Vaynerchuk) gave an excellent talk about the value of context (see video below). About being real, about establishing connections, about being helpful. Sounds like it was taken straight from the 1960’s classic “How to Win Friends and Influence People”. Develop relationships with key people in your industry or decision makers, the easiest methods are Twitter and LinkdIn. There are dozens of tools that will help you find people. One of the fastest ways to do this, is to view the followers of key people in your group. If you are trying to appeal to a local audience, look at the followers of the local paper(s), local chambers, most popular restaurants, etc. Look for authentic ways to build a connection with these people. Find ways you can help them, from offering advice to a problem — or even offering to help them move! Asking for something too soon will make you an unwanted, door step solicitor. You wont get the attention you want and you won’t the connections you need.